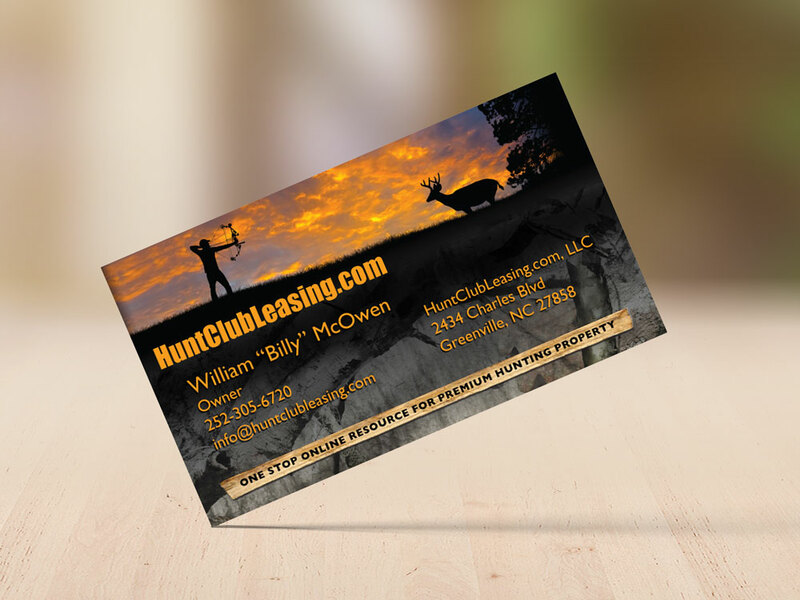 Business card design for Hunt Club Leasing, a land leasing company for outdoor activities. The business card builds on the brand developed from the original website design. 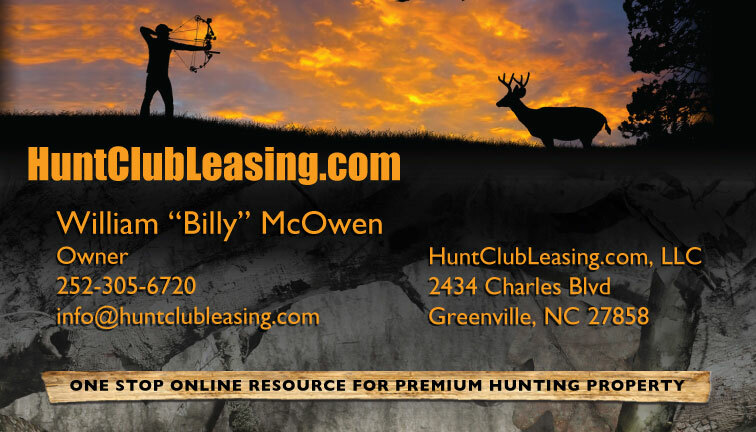 The card is designed to appeal to the outdoorsman with the beautiful image and use of Mossy Oak camo.